Companies need happy employees to survive and be sustainable; we have not been replaced by drones and computers (yet!). As a leader or manager, it is important to understand that what you do and how you act can influence and impact your employee happiness and engagement level. 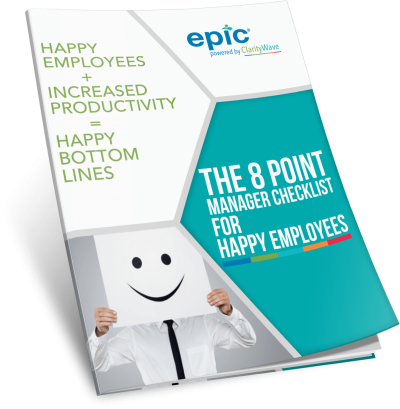 Enter your information below to learn the 8 fundamentals Managers need to know to make their Employees Happy! We promise to keep your email address safe!